Every business has to tackle the challenges to obtain market reputation and a competitive edge. Macshell serves all those businesses as an Offshore IT Outsourcing Company in India. We diminish the challenges of Web & Software Development with our expertise. Our innovative solutions and professional approach deliver quality and satisfaction to all our clients. Industry diversity of our expertise has allowed us a leading position as an offshore software development company. We have developed software solutions for industries such as Health, Pharmacy, Social Networking, and many others. Our development approach offers quality, excellence, and reasonable pricing. Our excellent job in software development is utilized on a global scale. Our clientele include multiple companies from all around the world. 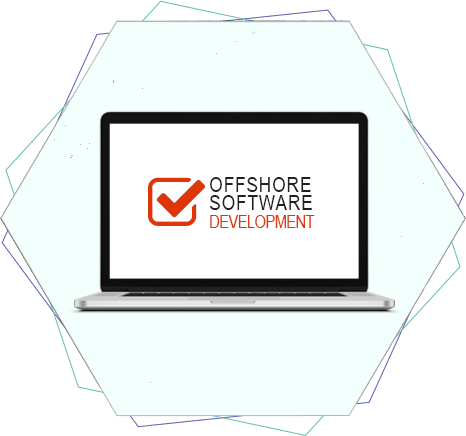 Experienced in the industry of offshore software development, Macshell helps you grab amazing benefits of offshore development. Just tell us your vision of software and our experienced developers will create goal-oriented solutions. Cost-effective and scalable software development to match your business requirements, we specialize in custom development of software solutions. We customize software solutions according to your business type, size and other specific requirements. The experts develop software to meet all your current and future technological goals. Web applications with customizable features give you a strong online visibility. Our custom web apps combine your business approach and your customers’ requirements together. The developed web app provides all the customer-oriented features along with business-oriented functionalities. With that, you can enhance your online visibility consistently. Experienced technicians ready to support and maintain your software and apps. We offer real-time assistance to support our clients. Your internal teams can rely on us to get answers whenever required. Our technical support team will be available with the right solutions whenever required. Consult experts to decide the best-suited software model for your business. We hold the best Indian talents of developers who have updated understanding of software and web development. Our developers have impressive communication skills. So, they can give you the best possible consulting service regarding the development plan for your business. Our developers know the global standards and trends of development. They use their broad knowledge to provide country-specific software consultation to the clients. Deployment assistance to make the developed software highly impactful! After the development of software, a successful deployment decides the ROI for your business. We provide complete deployment service to make software integration efficient in terms of technicalities and adoption. Our experts integrate the software into your existing systems and train necessary employees at the same time. Gain the ability to reach consumers on all platforms with our cross-platform web development. Highly compatible web applications are achievable with Macshell’s cross-platform web development. Our development solutions help with broad online exposure of your business.